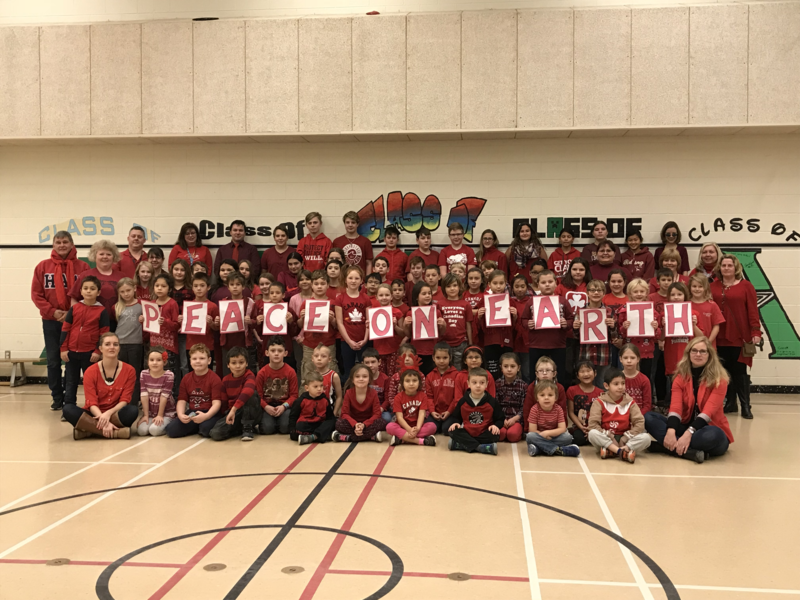 The students and staff of Assiginack Public School in Manitowaning, ON showing their support for Canadian Armed Forces Members on Friday, Dec. 8, 2017. Members of the Grade 2/3 class are holding letters to spell out Peace on Earth, in recognition that so many of our service men and women are serving away from their families this holiday season, and if there were Peace on Earth, they could be home! Students in the Grade 2/3 class are currently partnered with CAF Members serving both at home and abroad through a program I call Op Flat Stanley, which sees members of the Army, Navy and Air Force agree to be penpals with a student for the entire school year. This year they have 23 “Stanley Handlers” serving in Canada, the Middle East and Europe. Their school community donated treats to ensure that each of the Stanley Handlers that are deployed away from home will receive an “Op Troop Support” box of goodies – a little “Merry Christmas from Manitoulin Island” to remind them that they are thought about every day by their Grade 2/3 friends. 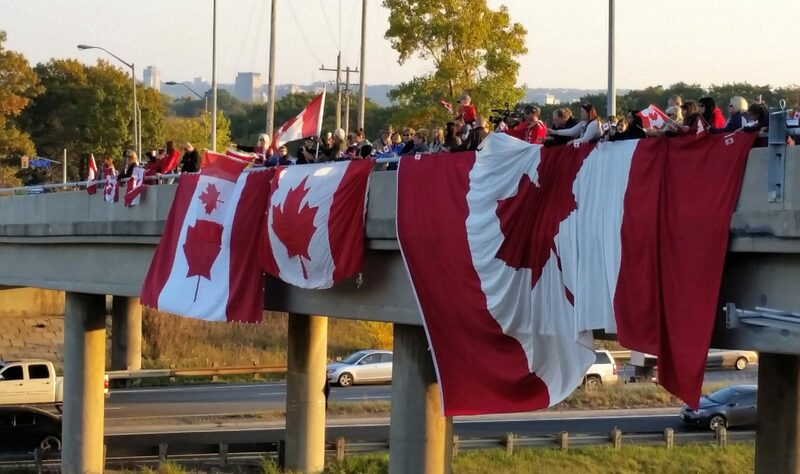 A big thank-you to Heather Jefkins the Grade 2/3 Teacher of Assiginack Public School, all staff, volunteers, community and students for this great display of love of country and our soldiers.